A whole slew of new and wonderful books are on the horizon (check out our full Fall 2017 list) which means it's time for some giveaways. The first giveaway of the season is the gorgeous picture book About Habitats: Seashores from the award-winning author-illustrator duo Cathryn Sill and John Sill. 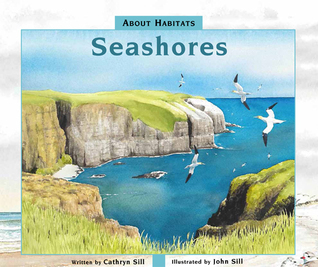 About Habitats: Seashores is the eighth book in the About Habitats Series, marking ten years since the first title in the series came out! With simple, easy-to-understand language, this beginner's guide explores the major attributes of seashores and showcases their remarkable diversity using examples from around the globe. Learn more about these titles in the series Teacher's Guide.